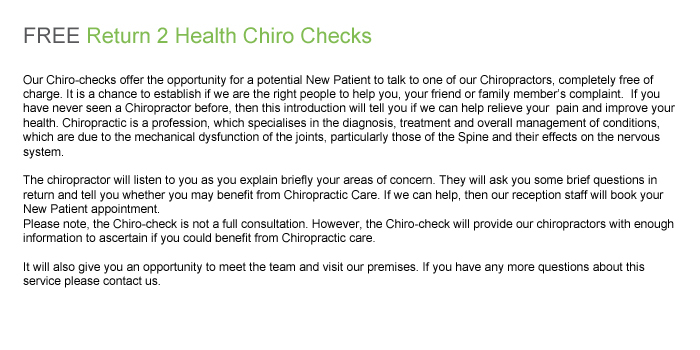 Our Chiro-checks offer the opportunity for a potential New Patient to talk to one of our Chiropractors, completely free of charge. It is a chance to establish if we are the right people to help you, your friend or family member’s complaint. If you have never seen a Chiropractor before, then this introduction will tell you if we can help relieve your pain and improve your health. At our modern and comfortable chiropractic clinic in Barry we have a team of female chiropractors that are not only highly qualified but also have over a decade of experience in the field of chiropractic care. We first opened the doors in 2003 and we have ever since always provided a professional, informative and friendly service, dealing with a wide range of ailments and injuries. Hannah Angell and the team are dedicated to their patients, helping to reduce pain and preventing re-occurrence of the conditions causing the pain. They are both passionate about providing the highest possible chiropractic care but they also ensure that each and every patient receives a highly professional, informative and friendly service. So please don’t wait until you are in pain,if you have suffered episodes of pain in the past or wish to have a check-up we can, and want, to help you. We offer a free 10 minute consultation so if you are simply not sure if we can help then get in touch and we’ll book you in for a free consultation and at least offer you some reassurance. Why come to our chiropractic clinic? There are many reasons why you might choose to come to our chiropractic clinic, you might choose us because we are local to Barry, Penarth, Cardiff and The Vale of Glamorgan, you might choose us because our dedicated chiropractors have over 13 years of experience in the practice of chiropractic care or; you might choose us because we have been recommended by friends, family or local doctors. However the most important thing to us is that you come back after that first visit, because then we know that you have come back because we have instilled the confidence in you that we can help you. This is also important to us because we know that if you come back we have provided the high level of professionalism and care that we always strive to deliver. Our chiropractic clinic itself is recognised by private healthcare providers in the UK, some of which include: Bupa, Axa PPP, Welsh hospitals, Aviva, Pru Health and many more. 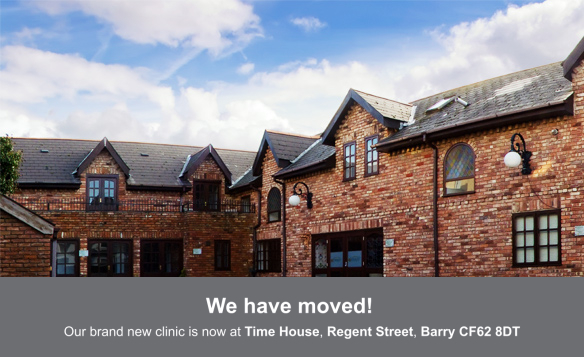 Give us a call on Barry 01446 740002 and let’s get you booked in for a consultation. Alternatively complete our contact form and we will get in touch with you. We look forward to welcoming you to Return 2 Health Chiropractic Clinic. Remember most insurers now pay of Chiropractic treatment (including BUPA, Axa PPP, Aviva, HAS etc).